Nancy looked great, as young as anyone there. It must be the result of years of voice-recognition training for the brain. Many Happy Returns, Nancy, and come back to the George for the hundredth ! NOTE: Thanks to the work by Peter Bennett, we have a whole album of photos of the occasion- 62 photos- taken on the night. You’ll find them in the special Nancy Birthday Gallery, linked from the top of this page. at The Merrion Inn from 18.30 hrs. After a very successful and hugely popular 25th Anniversary Gala Evening, we had many requests for a repeat performance in 5 years’ time. 5 years have now passed (yes really! 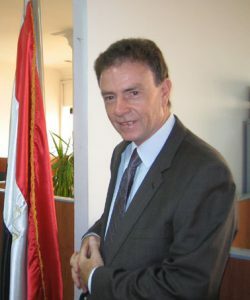 ), it is time for another celebration of what was for many of us the best years of our working lives. The venue remains the Thomas Prior room in the Clayton Hotel, Ballsbridge. Further details will follow – but please start to make plans to attend now. We ran out of space last time, so book early if you want a night’s celebration with all those great CTT characters and their stories. 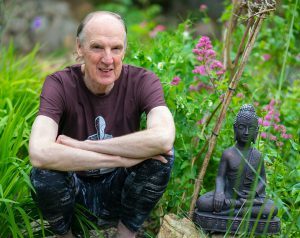 As he approaches his 70th year, John McGuire is alive and well and living alone in Ranelagh in Dublin. He is retired from full-time work since 2014 and still works part-time as a management consultant, Board member, stock trader, voluntary worker and yoga teacher. 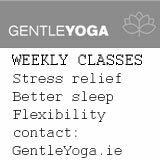 In his free time, he plays golf off a handicap of 13 in Delgany Golf Club, Co Wicklow, he studies Italian at the Instituto Italiano di Cultura in Dublin, practices yoga daily at Yoga Dublin, walks a few times a week along the Dodder and travels mainly in Europe. For the past four years, he has been walking segments of the Camino de Santiago in Northern Spain which is a distance of 791km from its origin in the South of France and he has still around 220 km to walk. 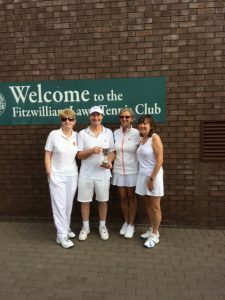 After very competitive semi final matches at Fitzwilliam on 2 September, Marion Kirwan and Colum MacDonnell won a close final. 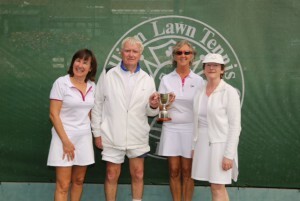 Photo of winners and runners up (L to R): Aileen Butler, Colum MacDonnell, Marion Kirwan and Breege Kennedy. 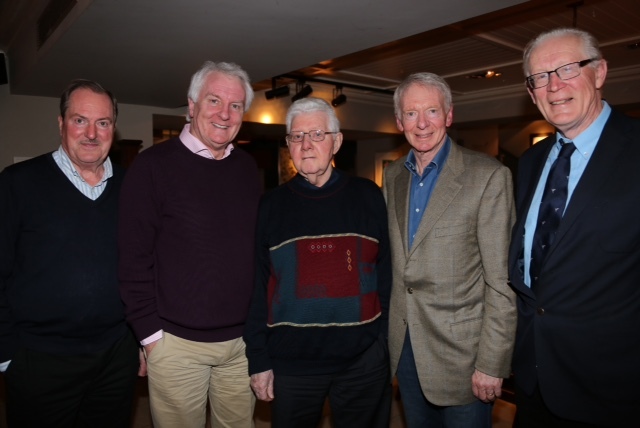 Richard, Frank, Sean, Martin and myself discussed the wonderful years spent at Lansdowne House and Merrion Hall, including the evacuation from Beirut office during the 1970’s and our contacts with prominent Irish business men including, Tony O’Reilly, Michael Smurfit and Sean Quinn. 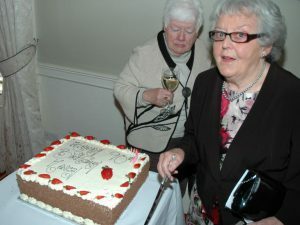 Outings organised by the Alumni Committee in recent years remembered included the visit to Congreve Gardens in Waterford, New Grange and Titanic Quarter in Belfast. It was felt that if outings to Kilkenny and the Irish National Stud in Kildare were organised in 2016, they would be well attended. 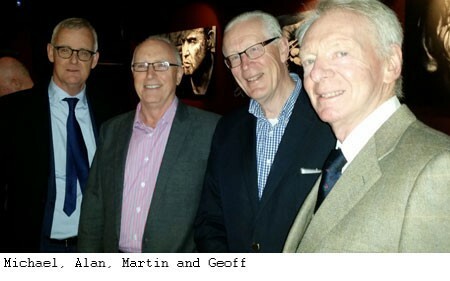 It was agreed that as far as TTT evenings in the Merrion Inn are concerned, “Size doesn’t Matter” Quality is more important than Numbers attending. 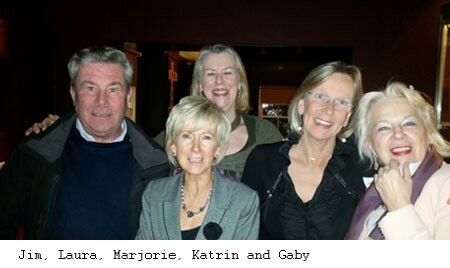 The c. 50 locals who turned up at the enjoyable Nostalgia Nite, Merrion Inn on Nov 20 were delighted to see again the strong attendance by our Dusseldorf colleagues, who flew in for the occasion from Germany and France (- where Katrin is now living and working as a local politician, et al). Our special thanks to these ladies for their “loyalty “!. The room upstairs in the pub worked out real well and the eats were very tasty and plenty of them. Well done Marjorie and Barbara for your organisation of the event. “Lets Get Together” A big effort is being made for this year’s Nostalgia Night, with the venue reverting to our spiritual home at the Merrion Inn on Friday 20th November. The M1 has agreed to give us the private room upstairs, hence we want to encourage a good attendance. It’s always a thoroughly enjoyable informal gathering and the casual format is the perfect platform to mingle and reminisce. So, do come along and encourage others to join you. About 60+ normally attend this annual knees-up. Kick off is from 6.30 and finger food (compliments of your Association) will be served at 7.30 pm. 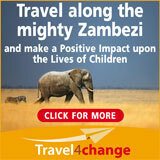 We need to get a head count so please notify re your likely attendance to Marjorie at mmhenry@travel4change.ie or by clicking the headline of this post and adding a Comment in the box on the next page.